The NRDC has highlighted 15 regions in the country that it says are getting transportation right. Should we be excited that places like Lincoln, Nebraska, top the list? Ambitious high-speed rail plans aside, most of the U.S. is lacking in the public transportation arena. That’s why the NRDC has chosen to highlight fifteen small, medium and large regions that are supposedly getting transportation right: Boston; Chicago; Philadelphia; Portland, Oregon; New York; San Francisco; Washington D.C; Boulder-Longmont, Colorado; Honolulu, Hawaii; Jersey City, New Jersey; New Haven, Connecticut; Champaign-Urbana, Illinois; Bremerton, Washington; Lincoln, Nebraska; and Yolo, California. That some of these cities lack anything more exciting than city bus routes begs the question: Is this really the best we can do? use, cost, household automobile ownership and use, and sustainable transportation programs. Some of the cities on the NRDC’s list aren’t surprising. New York is well-recognized for efficient public transportation (unless you’re waiting for the much-loathed G train), and Portland, Oregon is known for its bike-friendly streets. Other choices, however, look better on paper than in real life. 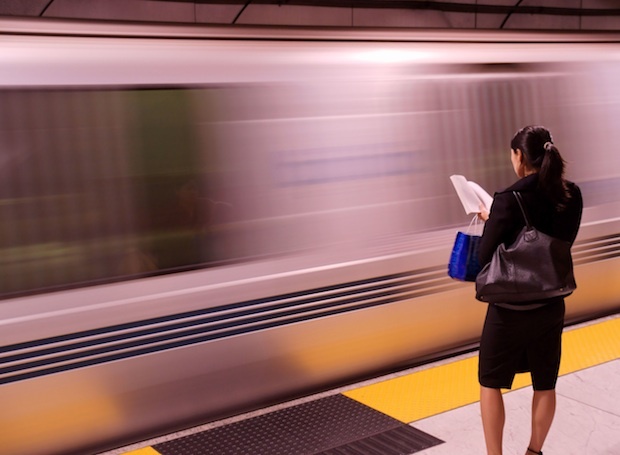 The NRDC lists San Francisco as a smart transportation region, at least in part because the city ranks highest in transit access of any metro region in the U.S., and half of the city and county population commute by public or alternative transportation. But that doesn’t tell the whole story. Having squandered countless hours waiting for late buses (a 45-minute wait for the bus isn’t uncommon) that move slower than many people walk, it’s hard for me to consider San Francisco’s transportation innovative. The city is more bike-friendly than most, to be sure, but anyone taking trolley buses, streetcars, or light-rail trains had better be willing to dedicate time to sitting around. And while the NRDC touts Lincoln, Nebraska’s policy of charging only $7.50 per month to low-income residents for a monthly unlimited bus pass, that doesn’t take into account the fact that buses sometimes come only once an hour, or don’t run at night. It’s enough to make the heartiest of Cornhuskers lose hope of ever getting where they’re going. Should progressive transportation policies be celebrated? Of course. But the NRDC’s list reveals more about the generally dismal state of transportation in the U.S. than anything else.